Sugary, neutral pink with just a hint of rosy pink glow! Icing for your face or body. Simply dust lightly over your face or body, wear it alone, or under/over your makeup...eyes, cheeks, chest, shoulders, etc. 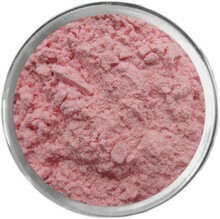 Don't let the pink scare you, it is a “Barely-There” pink tint and looks fabulous on all skin tones. Controls natural oil and veils imperfections...giving you a smooth, pore-less perfect finish to your complexion.